Muttenz, November 27, 2013 – Clariant, a world leader in specialty chemicals, has announced that its Business Unit Masterbatches is to open its first Project House in November 2013 as part of its strategy to build the next level of innovation. The Project House is a 400m2 facility in Pogliano, Italy, which will house chemists and technicians as well as equipment, such as extrusion machinery and analytical equipment. Its key objective is to pursue breakthrough concepts and solutions in Masterbatches products and processes. The Project House represents an investment of approximately 2 million euro. 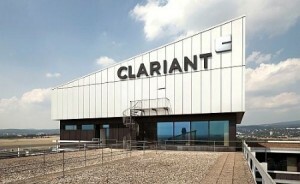 To help design customized innovation networks and enable meaningful connections, the Project House will be fully integrated with Clariant’s Masterbatches activities globally and has strong interfaces with the Clariant organization, including other Business Units, R&D and the company’s brand-new Innovation Center (CIC) in Frankfurt. Clariant has an extremely broad range of color and additive masterbatches. The company’s expertise extends across the dozens of polymers used in today’s – and tomorrow’s – packaging. Clariant masterbatches are used in bottles, microwaveable trays, biodegradable food containers, multi-layer laminate, active packaging, durable industrial drums, and tear-resistant shrink wrap.